As of April 24, MindBody expanded its headquarters to encompass an extra 64,000 square feet. The new building has a laid-back atmosphere, with lush plant life adorning the offices and new features like a child care center and a bistro. MindBody provides web-scheduling and marketing software to small health- and fitness-based businesses. Since its start in 2000, the company has become a leading global online wellness marketplace, with offices in California, New York, and London. The roster includes roughly 40,000 local business subscribers in 118 countries, providing services to around 23 million consumers. BODY BUILDER: MindBody has expanded its headquarters to a new customer service building on Tank Farm Road in San Luis Obispo. With the new addition to their headquarters, Stollmeyer said they plan to bring on a maximum of 1,100 new employees, further cementing their status as a San Luis Obispo institution. The new building will house a team of around 300 people working in customer service and technical support, which Stollmeyer said is the key to their whole company. The workdays for the San Luis Obispo office run from 6 a.m. to 11 p.m., during which employees provide on-call support for their clients. Once they leave for the day, Stollmeyer said that the people working in the London offices are just coming in, ensuring that MindBody’s clients never lack the support they’ve come to depend on. In addition, all the new meeting rooms in the customer service center bear the names of amazing individuals chosen by the staff members. There’s going to be a slide installed on the second floor, so that people going to meetings on the bottom floor won’t have to deal with bothersome stairs. It’s safe to say that MindBody isn’t your average company. 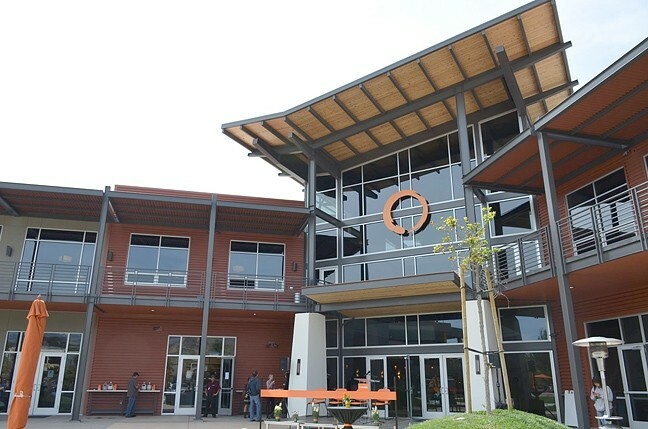 MindBody’s headquarters are on the corner of Broad Street and Tank Farm Road in San Luis Obispo. For more information, visit mindbodyonline.com. The city of Atascadero will hold the 26th annual Children’s Day in the Park on May 16. There will be multiple vendor booths selling food and drinks, as well as bounce houses, piñatas, and rides on the Elk’s train. In addition, the Rotary Club of Atascadero will be giving away free ice cream all day, and the Academy of Dance will be performing at 2 p.m. Children’s Day will be held at Atascadero Lake Park at 8305 Pismo Ave., and will run from 11 a.m. to 3 p.m. The event is free to attend, but entry into the carnival area costs $5. For information on submitting a vendor booth application, visit linkSLO.org. For information or questions about the event, call the city of Atascadero’s Recreation Division at 470-3360.